Why do you need to take your car to a reputable garage for repairs? Maintaining your car in top condition when you are on the road is of a major importance, and this is why you need to work with a reputable garage, as this is the only place where you can get professional results at a great cost. Not only that, but a garage repair can also provide fast results as well as a high quality customer service, no extra charges and, what’s maybe the most important thing, you will be able to equip your vehicles only with high standard replacements, something that definitely increases the overall quality and safety of your car. What are the things that you need to avoid having when you are on the road and which a repair garage can solve? Every issue from faulty brakes to damaged tires and even the electric faults can prove to be catastrophic on the road, as these can lead you to lose control and that is something that you surely want to avoid at all costs. Not only that, but alongside keeping your car safe, the car service process as well as the MOT make sure your vehicle has no bad parts and that it can run smoothly. If performed often, the car service can increase the lifespan of your car, and that is something you will surely like and appreciate since it leads to lower costs overall. As you can see, performing a car service is very important, but you need to pay extra attention in regards to the garage you work with. Only a reputable garage can provide you the best results, so do your research before choosing who works on your car! What is the MOT and why is it important? The MOT is a vehicle safety test that needs to be performed annually in order to check the performance that the car has on the road. Based on it, you will be able to see if the car is still suitable for the road or not, and realize if there are issues/damages that need to be handled immediately. The MOT is not only mandatory in most states, but it’s also very important for the car owner as well, because thanks to it anyone can maintain a high car safety. 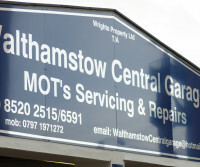 At Walthamstow Central Garage, we are an approved MOT testing station. 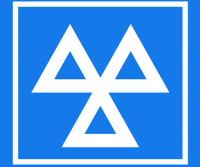 We offer MOT tests from only £39.00 with FREE re test if vehicle fails. When you own a car, one of the things that matter the most is to keep it in the best possible shape and make sure that it’s suitable for the road at all times. There are a variety of tasks that need to be performed in order to maintain your car road-ready, and these are included in a car service. Some of the common maintenance tasks that are included in the car service process is changing the oil, replacing the filters and spark plugs, tuning the engine, checking the fluid levels, lubricating components and also checking the condition of all your tires, among many others. Another maintenance task is to always check the washer liquid as its level is very important too, as all these tasks help you keep a faster, better functioning and more reliable car, which in the end is your main goal.